Explore the vintage advertisements revealed by our changing cityscape. In the years following the 1906 earthquake and fire, redevelopment created great opportunities for billboard advertisements in San Francisco. 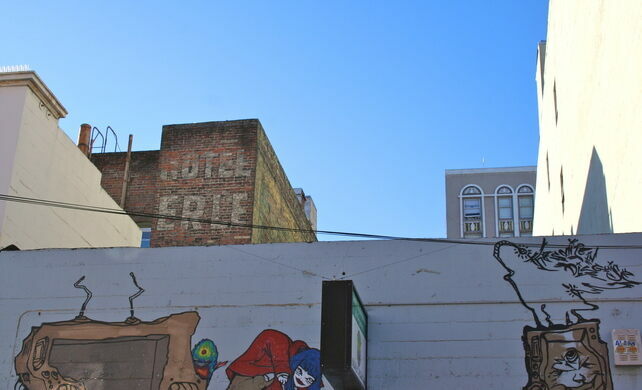 Giant ads for Owl Cigars, MJB Coffee, local businesses, and the like were painted on the sides of buildings and could be seen for many blocks. 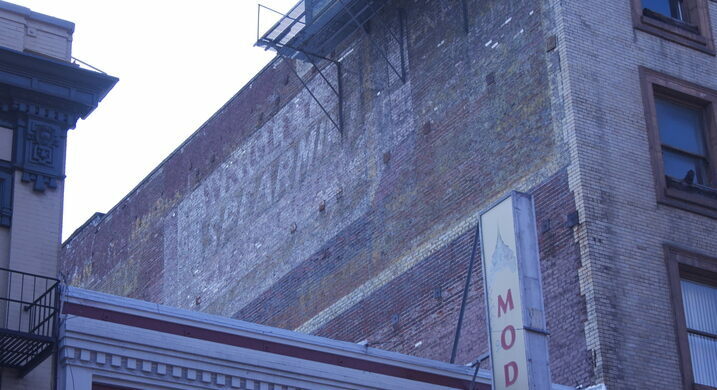 But as the years passed and more and taller buildings went up, the ads were hidden from view... Until now! Due to redevelopment and satellite imagery, these ads are reappearing, if only temporarily. They peek around corners, loom over alleys, hide behind layers of other ads. But if you know where to look, they can be found. Come see them while you still can, and explore local histories as told through old building signage. 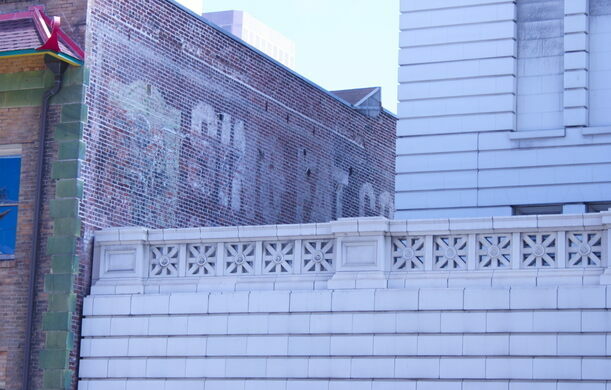 What can we learn about San Francisco's past from the faded ads that still adorn many buildings downtown? Meet at the Powell Street cable car turnaround, in front of the Bank of America. 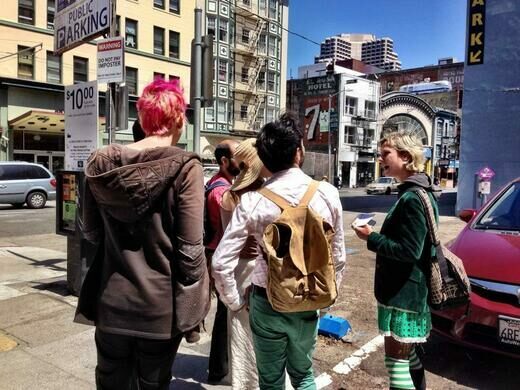 This is a 2 hr walking tour with modest hills in Downtown and the Tenderloin. Wear good walking shoes and bring water. Be aware of your surroundings and possessions at all times. Rain or shine! This tour will run as scheduled unless we're expecting dangerous weather in which case we will cancel via email. Tickets will be refunded or transferred to a rescheduled date, depending on your availability. 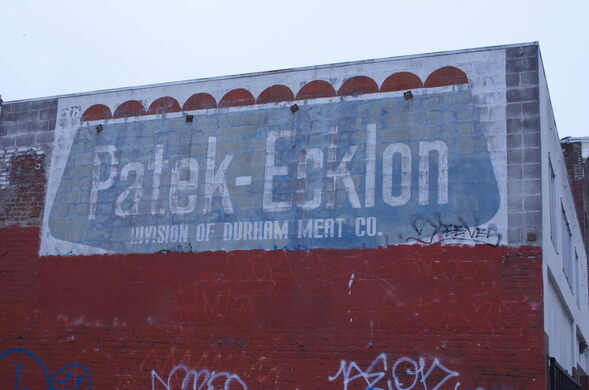 The tour is led by Kasey Smith, a Bay Area artist and the creator of the San Francisco Ghost Signs Mapping Project.